"School nursing is a specialized practice of professional nursing that advances the well-being, academic success, and life-long achievement and health of students. To that end, school nurses (RNs) facilitate positive student responses to normal development; promote health and safety, including a healthy environment, intervene with actual and potential health problems; provide case management services; and actively collaborate with others to build student and family capacity for adaptation, self-management, self-advocacy, and learning" (NASN, 2010c). 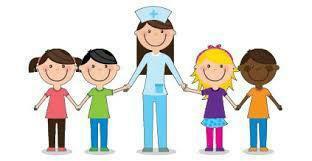 Manor ISD nurses play a crucial role in providing comprehensive health care to our students. Increasing numbers of students are enrolling in school with acute and chronic health conditions which can require immediate and prolonged care during the school day. School nurses serve as a team member to provide preventative services, identification of health problems, intervention and referrals for health and educational success. Manor ISD nurses recognize and encompass both health and educational goals for each student serving as an extension of community health services which ensure continuity of care for each student’s health needs during the school day.